The musical event of the year “Bel Canto/ Cór Craobhaigh Spring Concert will take place in the “Abbey Arts Centre”, Ballyshannon on Saturday, April 21st at 8pm. 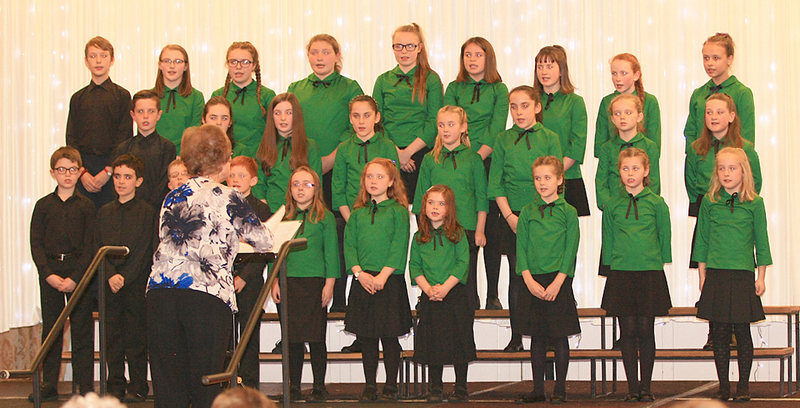 Bel Canto choir was formed in the 1980s and is part of Ballyshannon Musical Society. The choir meets once a week and performs at many local events including The Allingham Arts Festival and The O’ Cléirigh Summer School. Bel Canto choir won first prize at Kiltimagh Choral Festival last year and was successful at Castlebar International Choral festival also. Last autumn the choir travelled to Bushmills, Co. Antrim for their second visit where they staged a concert in aid of Northern Ireland Hospice. Bel Canto have also performed in the National Concert Hall, Dublin ; and The Waterfront, Belfast. Angela Currid has been the group’s musical director since its inception and her dedication, enthusiasm, commitment and talent knows no bounds. Angela’s daughter, Niamh provides the musical accompaniment with an innate level of professionalism. In 1983 Angela established a junior community choir - Cór Craobhaigh. They have been performing locally and nationally for over 30 years. The group has provided hundreds of local children with an introduction to music and contributes hugely to the social and cultural fabric of the locality. The concert will also feature our own Mark Cronin on clarinet accompanied by Niamh Currid on piano and also Clare McCaffrey (soprano). We are delighted to welcome two young very talented performers - Aonghus McAuley, cello and Claire Breslin, soprano. Don’t miss this wonderful evening of glorious musical extravaganza in the Abbey Arts Centre where tickets are available at €10 each and from Bel Canto members. Raffle proceeds in aid of North West Hospice and St. Vincent de Paul.